Tetris Effect Announced for PS4, PSVR | Nerd Much? With less than a week to go before E3, exclusives are already being announced for the Sony’s platforms. And this one is pretty, pretty good looking. Tetsuya Mizuguchi (creator of Rez, Lumines, and Child of Eden) and his team at Enhance, Inc. has announced Tetris Effect for the PlayStation 4 and PlayStation VR. 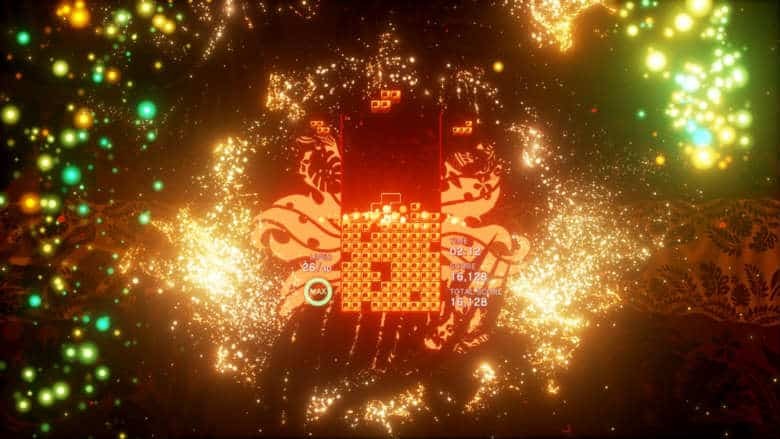 Many of your classic Tetris modes will return in Tetris Effect. Enhance, Inc. has built their own original modes for the game too, as well as something they are calling their “Zone” mechanic. While in “the Zone”, players can stop time to get themselves out of trouble or utilize it to setup even more impressive line clears. Mr. Mizuguchi didn’t disclose a release date for the game, perhaps Sony is saving that for E3. But the creator did state that the game would be coming this fall. He also confirmed that we’ll see more of the newly announced puzzler next week, with a playable demo being present on the show floor.